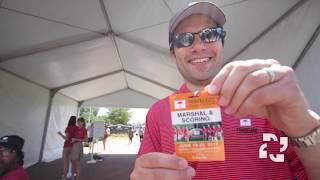 Come Visit the New Hartford HealthCare Sports Zone at the 2018 Travelers Championship! 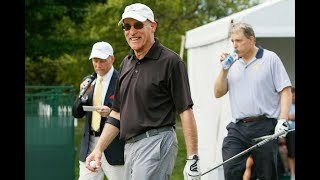 The world’s best golfers return to Connecticut from June 18 to 24 for the 2018 Travelers Championship held at TPC River Highlands in Cromwell. Hartford HealthCare, a key sponsor of the Travelers Championship for the past decade, will have an even bigger presence at this year’s event as it unveils the Hartford HealthCare Sports Zone. This 30’x50’ public access venue, located between the 15th tee and 16th green, will feature some of the best views on the course while providing guests with interactive activities, healthy foods and beverages and a climate controlled area where they can enjoy the tournament and learn more about the world class services available at Hartford HealthCare’s Bone & Joint Institute. Visitors of the Hartford HealthCare Sports Zone will not only be able to watch the likes of Jordan Spieth, Jason Day and Bubba Watson play the exciting 15th and 16th holes from elevated stadium seating, they will also have the opportunity to speak with clinical specialists and doctors about sports health, have their golf swings analyzed by certified therapists and participate in full motion screening assessments to see how they stack up against the pros. Headed to the 2018 Travelers Championship? 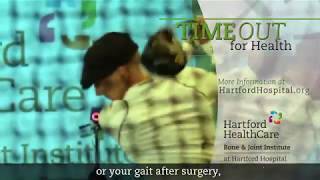 Don't miss your chance to improve your OWN golf swing at the Hartford HealthCare Sports Zone. Westminster School golf coach Greg Marco explains what it did for his golf game. Attention golfers! 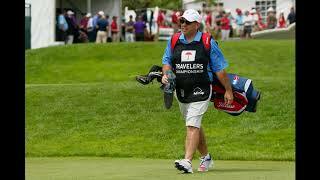 The Travelers Championship is coming to Cromwell June 18-24! Join us at the Hartford HealthCare Sports Zone for the best views on the course and some time with our sports health experts. Plus, Hartford HealthCare is the official volunteer sponsor for the tournament. Let our very own Dr. Jeff Cohen tell you more about it! 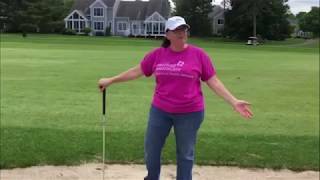 It's HealthCare Happenings for July 2017, and we're connecting you to golf in Cromwell, primary care in Plainfield, Ms. Mulberry in Southington and cancer survivorship in Norwich. 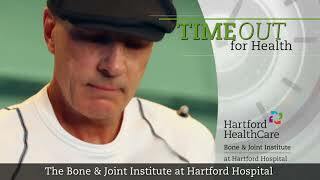 Get your Hartford HealthCare gear! 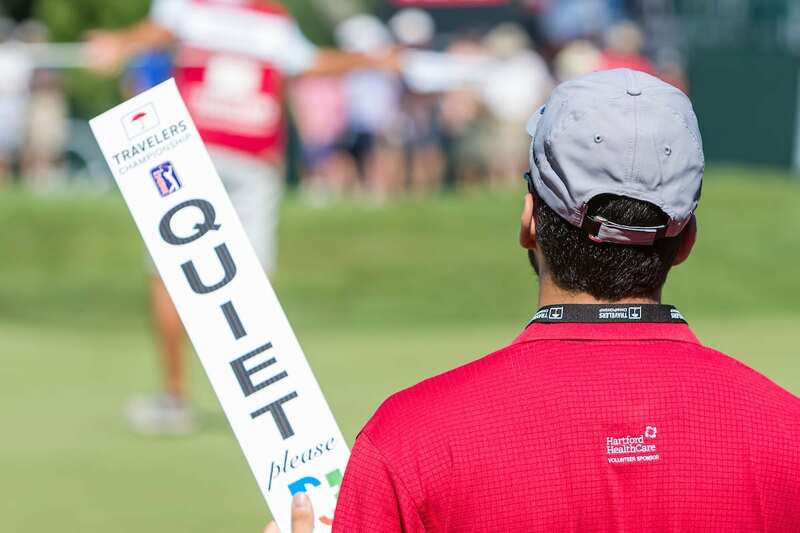 There’s something to do every day at the Hartford HealthCare Sports Zone during the Travelers Championship at the TPC River Highlands. We have some of the best seats in the house with our public outdoor seating venue. Charge your phone for free and stay cool inside our Sports Zone. TBD Physicians: Get tips and tricks to improve your golf swing with a free swing analysis. Start the tournament off right and watch your favorite players from the Hartford HealthCare Sports Zone located between the 15th tee and 16th green! Charge your phone for free and stay cool inside our Sports Zone. 11:30am-6pm Get a free golf swing analysis from one of our certified clinicians. 11:30am-6pm Learn how you move and how to keep you moving with a free motion analysis. Come mingle with Hartford HealthCare physicians. From sports orthopedic surgeons to joint replacement surgeons and sports medicine doctors. We’re here to answer all of your sports related questions. 1pm-5pm Come mingle with Hartford HealthCare physicians. From sports orthopedic and spine surgeons to sports medicine docs, foot and men’s urologic health and general surgeons. We’re here to answer your health and sports related questions. Bring your family and watch all of the action from the heights of our outdoor seating venue. Charge your phone for free and stay cool inside our Sports Zone. 1pm-3pm Ever wanted to learn more about orthopedic surgery? Join us to watch “saw bones,” a workshop performed by orthopedic joint replacement surgeons, using what else, sawdust, to show you what a joint replacement surgery looks like. 1pm-5pm Come mingle with Hartford HealthCare physicians. We have invited all types of orthopedic surgeons on site, from spine to joint replacement, shoulder to pain and fracture care plus learn about men’s health from a urologic surgeon. 3pm PGA Pro Ken Duke will be joining us in the Sports Zone for autographs and a photo-op! It's going to be an exciting finish! Final day of the Tournament and so much you don’t want to miss. Bring your family and watch the golf from the heights of our outdoor seating venue. Charge your phone for free and stay cool inside our Sports Zone. 1pm-3pm Ever wanted to learn more about orthopedic surgery? Join us to watch “saw bones”, a workshop performed by orthopedic shoulder replacement surgeons using what else? Sawdust! to show you what shoulder surgery looks like. 1pm-5pm Come mingle with Hartford HealthCare physicians. We have invited all types of specialists, from fracture care to rheumatology, sports orthopedics to hand and concussion prevention and treatment. TBD Say it ain’t so! Closing ceremonies.